Saku Villa is our most secluded Villa with timber steps through lush tropical landscaping leading down to your own private white sand beach. The uninterrupted views to neighboring Vatuvara Island dominate from all aspects of Saku Villa. 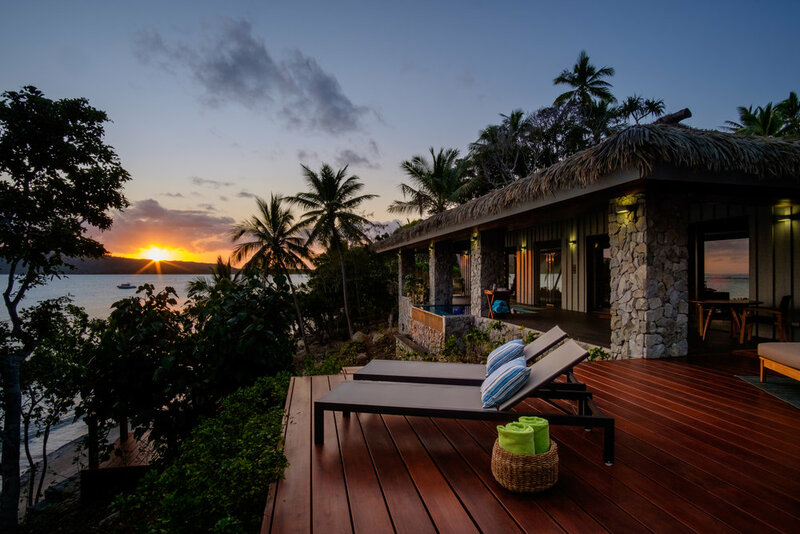 Just like her sister Vatu Villa – Saku Villa features one bedroom with extra large king size bed and double vanity ensuite, a huge stone bath and both indoor and outdoor showers. The lounge is furnished with plush leather couches, a flat-screen satellite television, surround sound stereo for each room, Wifi throughout and a stocked bar and wine selection in the kitchen.